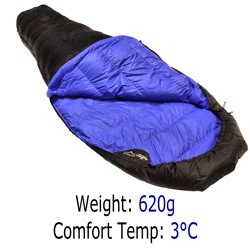 If you are travelling to hot countries where the night time temperature is warm, or if you are staying indoors, your sleeping bag will need only a minimum amount of down. 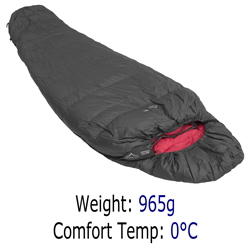 Our sleeping bags for travel and gap years that are suitable for travelling or indoor use come from our Ultralight and Lady ranges, with comfort temperatures from 3°C down to -3°C. 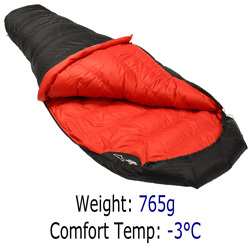 These sleeping bags pack down to a miniscule size and all weight less than 1kg. (1) the filling is Polish goose down. 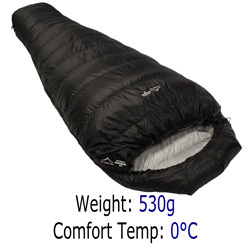 (2) the FILL VOLUME is a measure of the TOTAL insulating power of the sleeping bag.